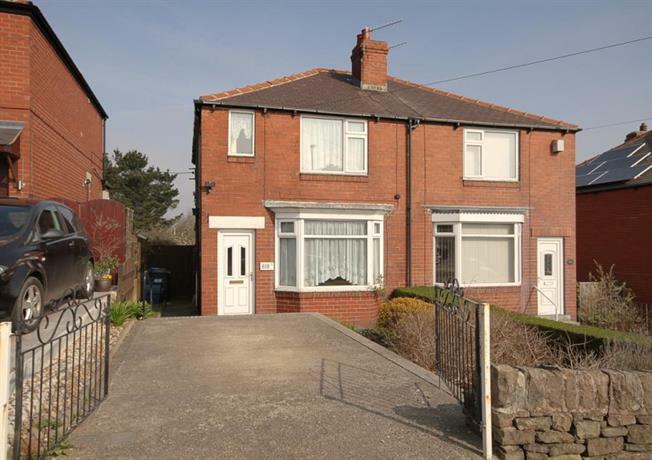 2 Bedroom Semi Detached House For Sale in Sheffield for £150,000. A fantastic opportunity to acquire with no chain this two bedroomed semi detached home located in the heart of sought after Stannington Village. Having the benefit of double glazing, GCH and off road parking. Offering superb potential inside and out , an early inspection is highly recommended to appreciate the sheer size of the garden. Stannington is a sought after suburb to the west of Sheffield with excellent local amenities including shops, schools and public transport links. Offering access to the beautiful Loxley and Rivelin valleys with road network to the Peak district and Hillsborough having Supertram terminus and shopping centre. Local schools include Forge Valley Secondary, Nook Lane junior, Shooters Grove Primary and Stannington Infants. The accommodation comprises an entrance hallway with stairs to first floor landing. A bay windowed Lounge to the front, a Dining Kitchen with a range of base and wall units, point for oven and plumbing for washing machine, wall mounted extractor, built in cupboards, rear window and door to the Conservatory, of half brick construction having windows to side and rear, rear door, Polycarbonate roof and door to downstairs WC. On the first floor, the Master Bedroom has a pair of windows to the front. Bedroom Two has rear window with far reaching views and built in wardrobes. The Bathroom has WC, wash basin with storage unit and corner shower enclosure, fully tiled with rear window. To the exterior of the property is a gated driveway to the front and garden area. To the rear of the property is an extensive garden area extending away from the property with patio area, lawned areas, mature fruit trees, providing excellent potential for the keen gardener, outdoor seating and entertaining. An early viewing is essential in this much sought after location.